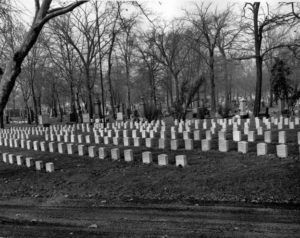 Cleveland’s Woodland Cemetery located at 6901 Woodland Avenue in Cleveland’s Central neighborhood differs from other cemeteries. Its sixty level acres, viewed in an aerial photo or from the ground, provide a primer on American cemetery design, from the “rural cemetery” intricacies of the 1850’s through a more rambling style of the late 19th century to the rectangular 20th century grid. Its mausoleums are in classical, Victorian, Egyptian, and Richardson rustic designs. These varied structures, along with angels, obelisks, and military memorials have caused Woodland to be favorably recognized in Silent Cities: The Evolution of the American Cemetery (1989) as possessing a “profusion of well-designed monuments.” In addition to being a Cleveland Landmark, since 1986 Woodland Cemetery has had the rare distinction of being listed on the National Register of Historic Places. Woodland, beyond Cleveland’s eastern border until 1867, was always a part of the city. On May 27, 1859, the Cleveland Leader newspaper noted that Mayflower School’s pupils were to have a picnic that day at the Woodland Cemetery grove. Veterans’ graves from all branches of the nation’s services since the War of 1812 have been identified and are now appropriately decorated each Memorial Day. 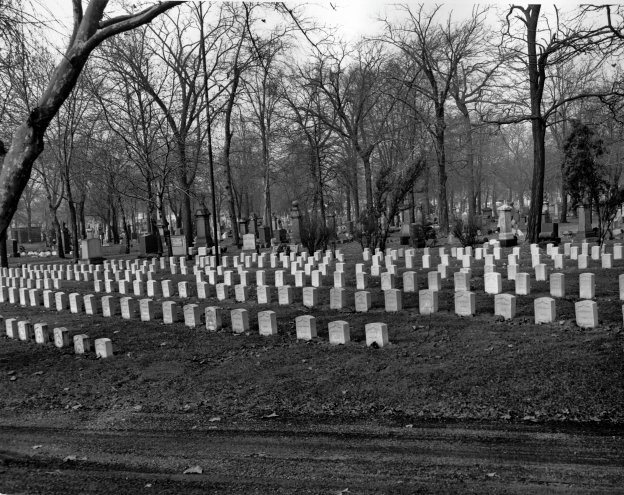 The Civil War had the greatest effect on the cemetery with many soldiers receiving government-issued headstones and three distinct monuments being erected for the 23rd Ohio Volunteer Infantry (1865), the 7th Ohio Volunteer Infantry (1872), and the Grand Army of the Republic (1909). Because Woodland was Cleveland’s main public cemetery for over fifty of the city’s most dynamic years, it is a repository for many artifacts useful to understanding the community. Not only are two Ohio governors and one lieutenant governor buried here but so is the German farmer, Bratenahl, the namesake of a distinguished suburb. The co-founders of Gates Mills, Lucy and Holsey Gates are also buried here. 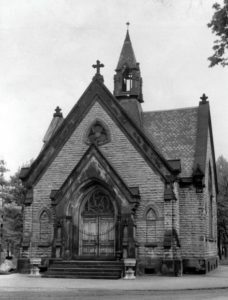 As the pride of the city’s public cemeteries, Woodland was adorned with Joseph Ireland’s Gothic-style stone gateway (1870), a chapel and receiving vault (1880), and two ornamental fountains (1887). 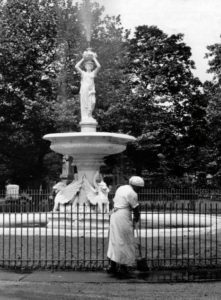 By the early 20th century, Woodland had lost public favor. 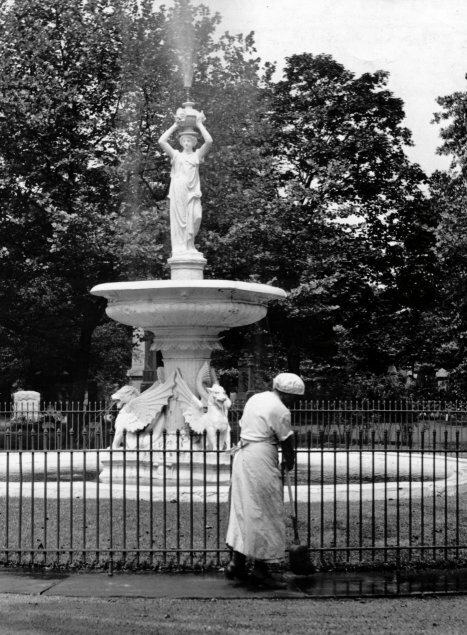 In the early 21st century, the chapel, receiving vault, and ornamental fountains are long gone. 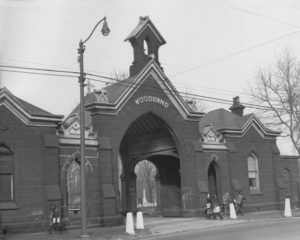 The distinguished gatehouse at the Woodland Avenue entrance was dismantled in 1995/1996, its stones carefully saved for a future restoration.